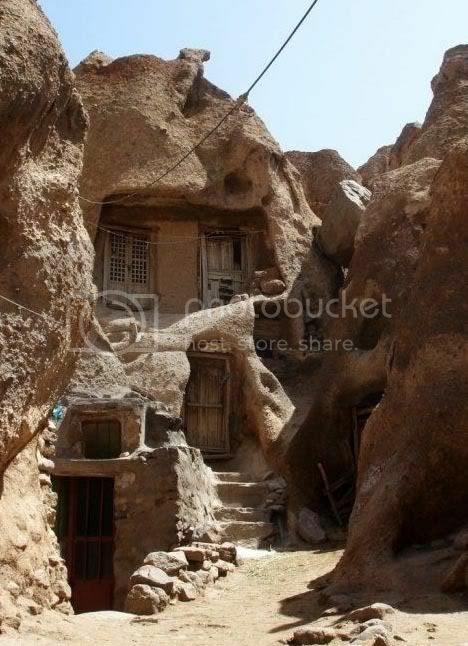 Vacation property may not be the first thing that comes to mind when you think of Iran, but tucked away in Kandovan are some of the most amazing houses you could ever hope to buy – seven centuries old cave homes carved right out of the local stone formations that jut up from the Earth, much like in Cappadocia. Many spaces are for rent to tourists and others are even for sale at (perhaps) surprisingly cheap prices. 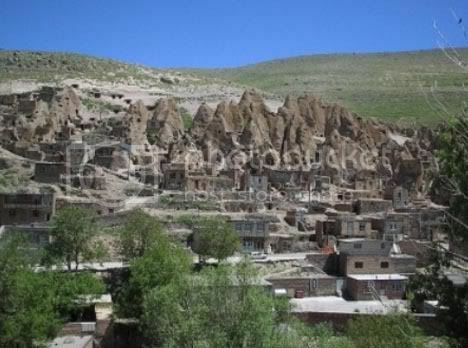 It is a popular resort area with hotels, restaurants and a special mineral water famed for its healing properties. 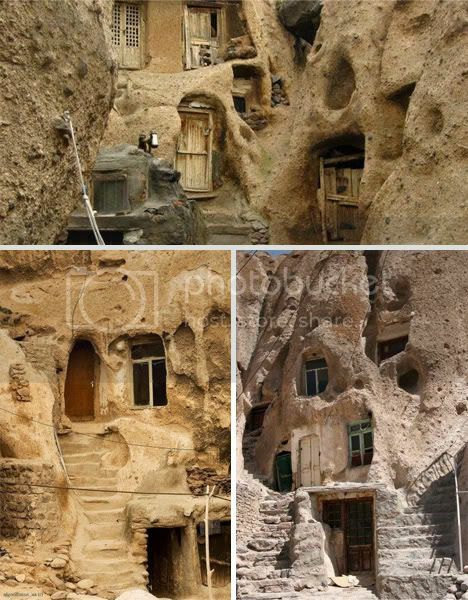 Some of the architecture is above the surface but much is also carved out underground where temperatures are l0wer during the day. 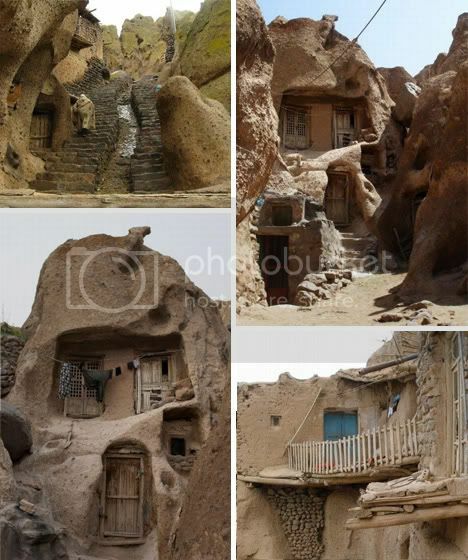 The architecture itself is eclectic mix, blending traditional masonry and stone-carving techniques with more updated doors and windows and in some cases quite contemporary fixtures and modern furniture – not exactly the cave dwellings of our ancient ancestors.